Frantic Assembly will be returning to Plymouth to find this year’s Ignition Company. We are excited to be joining their annual search for the next generation of performers, have you got what it takes? 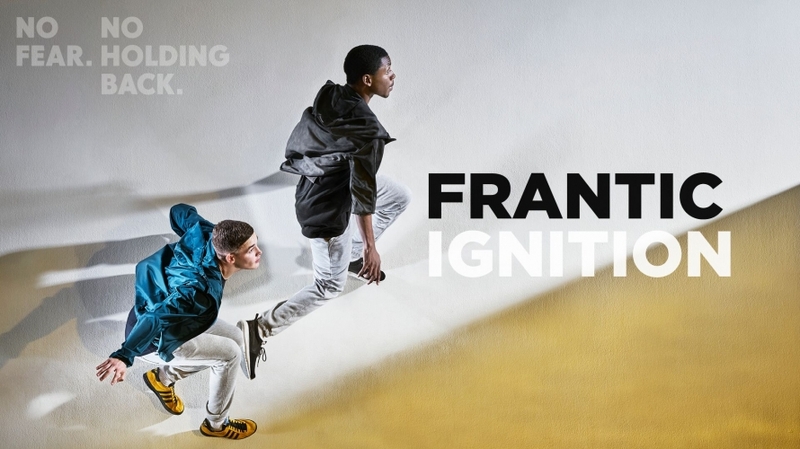 As well as visiting Plymouth, Frantic will be travelling to other cities in the UK to find 12 of the brightest and bravest young men to form the Ignition 2017 Company, a fantastic opportunity to learn new skills, create original work and perform to a live audience. Are you male? Aged 16-20? Are you risk-taking and energetic? Do you want to be challenged and achieve what you never thought was possible? Then this is for you! Taster workshops are an opportunity to try out Frantic Assembly’s high-energy, risk-taking, physical style. Trial workshops build on skills learnt in the Tasters and discover the Ignition 2017 Company. Both workshops are completely FREE and you don’t need any experience to take part, just bring your energy and personality! By coming to a Trial workshop, you are also automatically part of the Back Up programme, meaning further training with Frantic Assembly and other exciting opportunities with Theatre Royal Plymouth, just for you, even if you don’t get into the company!